Shockingly, this comes as a surprise to … no one, lmao. There have been so many great Asian books as of late, and even though I’ve been (in my opinion) really good at keeping up with the Asian books I want to read, there are still quite a few I still want to read. So when I saw this challenge centering around reading books by Asian authors hosted by Shealea @ Shut Up Shealea, CW @ the Quiet Pond, Lily @ Sprinkles of Dreams and Vicky @ Vicky Who Reads (all of whom are amazing humans who you should all totally follow), I knew I had to participate. 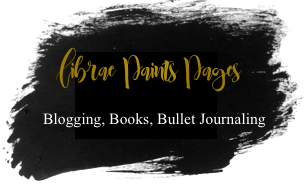 This post is going to serve as three things: my sign-up post, my progress tracker and a tentative list of books I would like to read for this challenge. I was initially going to make this part of my 2019 Reading Challenges page, but I figured since this is a reading challenge near and dear to my heart, that it should get a separate post of its own. I’m aiming for the Malayan Tapir level, which is reading 21-30 books. Look at that graphic! CW is so talented (also yay for fellow Malaysian bloggers!) I’d love to go higher, but since I’ve read the majority of the Asian books on my radar/TBR, it makes going higher even more ambitious. I was going to aim for the Giant Panda (31-40 books), but I think it’s pretty unrealistic (part of me wanting to aim for that was because of that adorable panda and my love of pandas, ngl. As I’m writing this, I’m already doubting my ability to achieve this. Here is where I will (try) to keep the books read for this challenge (book, author, rating, link to review (?) etc.) updated in list form. Click the little toggle button to see the books, as I want to keep this post to a reasonable size. Also! If you’re into Sheets, Kaleena @ Reader Voracious (aka the queen of bookish spreadsheets) as well as Kate @ Your Tita Kate (and a diversity championing queen) have made some great spreadsheets for you to track these challenges! Even though I’ve been a lot better at keeping to my TBRs lately (I’m doing so great on my January TBR, should I check in with that even though I haven’t posted it? ), I’m not so great at keeping up with them in the long term. Finally, I also have some Asian books that are on my radar, which I will talk about and which you will get to vote on which ones you think I should read/prioritize! The top 3 books will be the books that I will do my best to get read, or perhaps bump up to my priority TBR! Without further adieu, here is my (tentative) TBR! These are organized in order of publication date, and you can find me screaming about them here. These are books that have peaked my interest or I’ve heard good things from other people in the community. Be sure to recommend me more Asian (especially if it’s contemporary) novels you think I should add to this list! Obviously, I’m not sure of every Asian book out there, so it’d be great to know more! Next ›A Mixed January Wrap-Up: A New Wrap Up Style, Lots of Reading, Varied Life Updates?? YAYAYAY I’m so excited you’re also participating in YARC! I’m also going for the Tapir level, and we’re going to read so many amazing books 🙂 I love all the books on your list, so I can’t wait to hear all your thoughts! Ooooo so happy you’re participating too, Tiffany! Can’t wait for this challenge, and good luck with the Tapir! I’m so happy you are joining this challenge, YAY! Very excited about it, I hope you’ll read some awesome books, but you have such a great TBR 😀 I would love to read Spin The Dawn, I Love You So Mochi, Fake It Til You Break It, Smoke in The Sun and Darius The Great Just as well. I’m so glad you’re doing the challenge too, Marie! This is going to be awesome, and I’m so hyped! They all sound so good and I’m just here casually screaming, haha. Thanks so much, Dezzy! I’m so excited to make it through this TBR, because all of them sound awesome! I’ve been so behind on interacting as of late, but I’ll definitely make the time to check our your sign up post! I’ve heard amazing things about Starfish so far, and I’ve already reserved a copy at the library, so hopefully that’s coming in soon! Wishing you the best of luck on this challenge to you too! Happy reading with all the Asian lit!! I need to look into this challenge because YASS to all the amazing Asian rep we are getting this year! It’s so incredible. I really enjoyed Girl King, which came out last month and I’m dying to read Descendant of the Crane. Ahhhh you should totally join, Melanie! Asian rep ftw, and 2019 is going to be great! I’ve heard mixed things about the Girl King, so I don’t think I’ll pick it up, and I’ve heard so many good things about Descendant of the Crane! Happy reading! Good luck on this challenge! The Poppy War was one of my favourite reads of last year and I cannot wait for the sequel! And I read The Gilded Wolves this month and loved it so much, I really hope you enjoy both these books as well! Thank you! I’ve heard so many good things about The Poppy War, so I’m definitely intrigued! The Gilded Wolves sounds great too, and I hope I enjoy! Are you doing this challenge? Happy reading! ahhh i’ve heard so many amazing things about descendant of the crane and i need to pick it up this year, haha. this challenge was just calling my name so ofc i had to sign up, thank you to you, cw, shealea and lily for doing this! so much appreciation for all of youuu 💘💘 i would definitely need more recs, and obviously you are the asian rec queen so ofc! 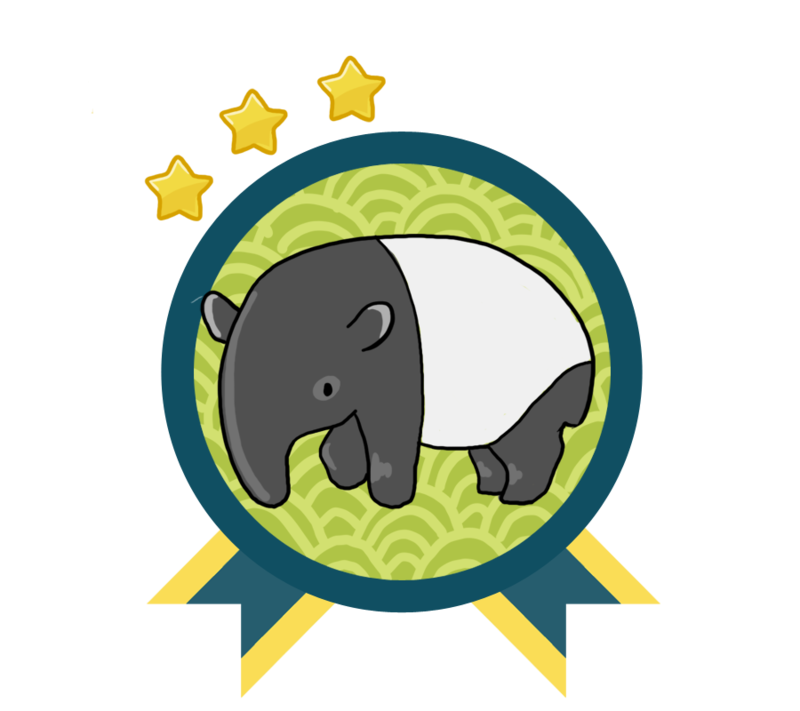 YAY happy to see you are also joining in, and good luck getting the Malaysian Tapir badge! That’s also my goal… although I would love the panda. Secret goal? !